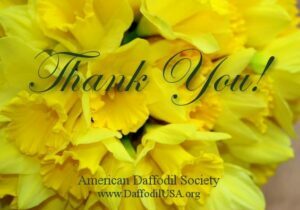 There will be a Daffodil Boutique at the American Daffodil Society Convention on April 5-8, 2018 in The Greater Nashville Area. If you are interested in being a vendor of daffodil-related items, please let me know as soon as possible. We have a room set aside, but our space will not be unlimited. Our Boutique Co-Chairs, Sandra Frank and Anne Cain, are beginning to talk to local artists and vendors who might wish to have products in the Boutique, but we want to give first priority to our repeat vendors from the ADS community. Please contact me at if you are interested and I will give your name and contact information to our Boutique Co-Chairs. They will get back to you soon with more information. Thanks! Rebecca has already responded that she’s working on cards and other items to bring. I love her watercolor sketches, too! I have a favorite on my wall she did of an Orange Crush bottle with daffodils in them Ralph Sorrel once brought to a show.